The “Great Emancipator,” a tall-hat enthusiast, a vampire slayer—President Abraham Lincoln is remembered as a man of many interesting qualities and honorable deeds. But most people probably don’t know that Honest Abe once took action to save elephants from a life of slavery and torment. 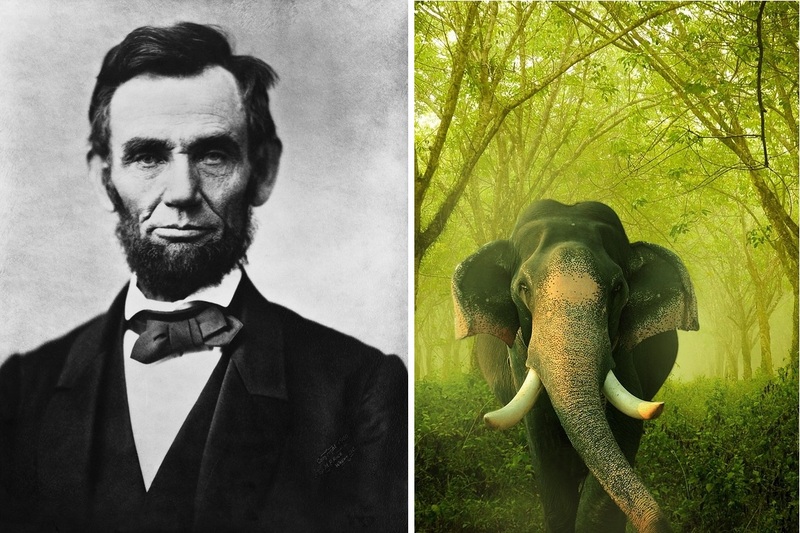 In 1861, King Mongkut of Thailand (which was then called “Siam”) thought he was being generous when he offered Lincoln a pair of elephants who would lead a life of servitude across the ocean in a foreign land. With a polite humblebrag, Lincoln declined his offer, stating that the U.S. used steam engines and would have no use for enslaved elephants. “[S]team on land, as well as on water, has been our best and most efficient agent of transportation in internal commerce,” he wrote in his 1862 letter to King Mongkut. Did you catch that, 21st century U.S.? North America is no place for an elephant. If Lincoln knew 150 years ago that exploiting animals instead of relying on human ingenuity was an outdated and cruel idea, circuses today should surely understand that animals aren’t ours to use for entertainment. Elephants, tigers, lions, and all the other animals exploited under the big top have their own interests and would never willingly be enslaved to amuse humans. You can speak up for all animals being used in circus shows. Urge circuses (and the venues that host them) to stop exploiting bears, tigers, and other animals—and tell them to do the right thing by featuring only talented and willing human performers.